Your company’s website can be a tremendous asset – as long as potential customers can find it. The key to being found by search engines like Google, Yahoo, and Bing is to make it as easy as possible for the search engines to recognize and remember your site. This process is called search engine optimization, or SEO. Search engine optimization helps strengthen your visibility across major search engines – and increases the number of visitors to your site who are searching for services or products like yours. A form of proactive marketing, optimizing your website helps you reach out to potential customers who may not have otherwise known about your business. Weblinx specializes in organic search engine optimization, which means we focus our efforts on making your website appear in the “natural” list of results as opposed to pay-per-click or sponsored links. Emphasis can be placed on local or national search engine optimization, making your site easily accessible to customers who live within your target market. 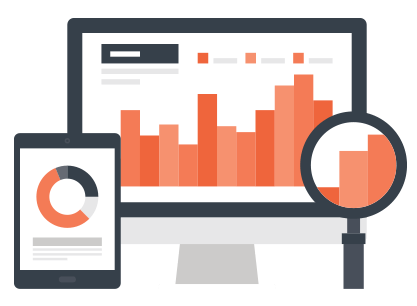 Using a combination of search engine optimization research tools and competitive analysis, Weblinx’s search engine optimization experts determine the most relevant keywords and phrases for your site. Our search engine optimization experts also examine your site for proper structure – to make sure it is technically compliant with search engine standards. If necessary, we will make changes before submitting a sitemap to Google. Once optimized for search engines, we continue to monitor your site’s results and make changes as necessary until the initial submission has been accepted. If you have selected an on-going search engine optimization maintenance package, we will continue to reevaluate keywords and phrases and update technology based on the latest trends and techniques. As an added benefit, clients who choose to host their websites with Weblinx have access to comprehensive reports on daily website traffic, most commonly searched keywords, page popularity, and more. Note: Organic search engine optimization is included with all new websites created by Weblinx. Please contact us for a custom web design quote.